We all know that Don Moen has been a friend of Nigeria for so many years now. Hardly is there any single year that the great gospel musician, who I believe is one of the few people that might make heaven, does not visit Nigeria. He comes regularly to perform in big contemporary churches at their annual events. It will interest you to know that our own great gospel musician of international recognition, Frank Edwards has also done a great song with Don Moen (I will advice you to download that). 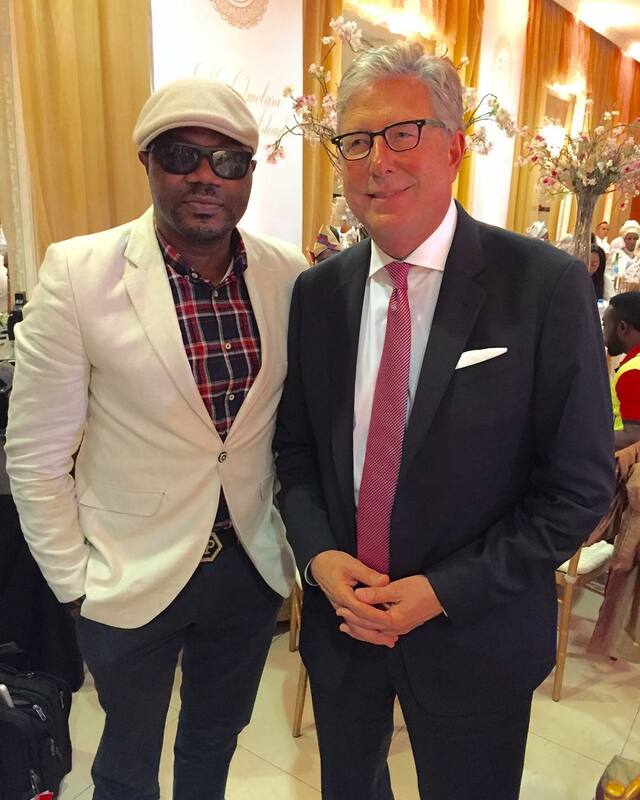 Now it is the cool Dj Jimmy Jatt that was spotted with him. We hope he is not having it in mind to mix all Don Moen's songs. Well nothing is wrong with that I must say. And if you remember, Dbanj was also spotted withe the gospel music maestro sometimes around last week. I hope Terry G won't also be thinking that he will meet him and snap with him.